In Part I of our three-part mini-series, ‘Parents Role in the Recruiting Process,’ we discussed why the best role for a parent in the recruiting process is helping behind the scenes. 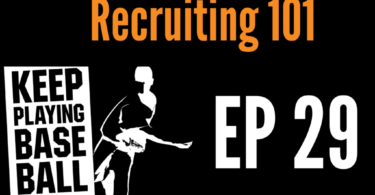 In this article, we pick up where we left off, giving you concrete suggestions for how to be appropriately involved during each of the 10 phases of your son’s recruiting process. Have you ever wondered what you should be doing as a parent and when? Here’s your answer. We’ll list the step or phase of the recruiting process in bold and summarize your ideal role as a parent. If you want your son to have a chance to play college baseball, you need to learn about what that actually means. 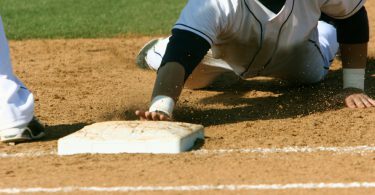 You should play an active role in learning the ins-and-outs of college baseball. From the NCAA rules and requirements to the different levels and divisions, there is no shortage of things to learn. There are over 1600 different college baseball programs out there across 8 different levels or divisions. The more you know about them, the better you can be as an advisor to your son. Your engagement in learning about college baseball will help fuel his. 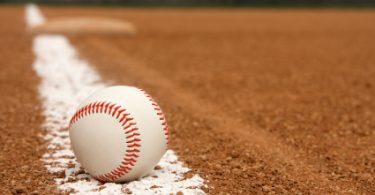 If learning about college baseball is priority 1a for a parent who wants to help usher their son through the college baseball recruiting process, learning about the appropriate timing and methods for navigating the recruiting process successfully is 1b. For someone who has never been through it, the recruiting process can seem confusing and messy. Getting informed can make a big difference. Luckily, we are here to help you through it. Everything your son needs to do and learn at each step of the way is organized right here for him. You can follow along and support him in his learning. Help by following along and providing reminders of deadlines and important events as well as encouraging and being supportive of his learning and growth as a baseball player. 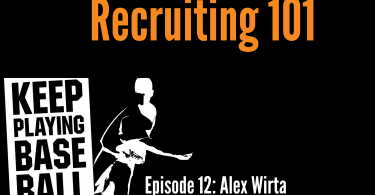 You will learn (if you haven’t already) that the recruiting process is different for everyone. Development will happen at different times for each recruit. 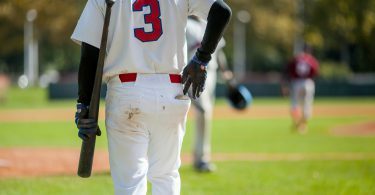 As a parent, you can help your son try to figure out what type of college baseball experience he wants and help him create a long term plan for how he will meet the academic and athletic standards of that level or school. Being a voice of reason here is extremely helpful. Your son will likely express interest in the schools that are in the news or that he’s heard of the most, but encourage him to explore all his options. It’s also important that your son knows the limitations of his search, financially or otherwise. 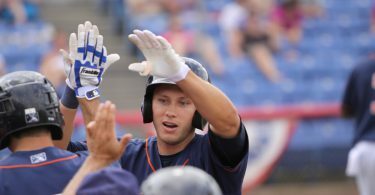 Since it’s rare that a player pays for all his baseball expenses, you can help by giving him a realistic idea of a budget for the recruiting process and how much he’ll be able to spend on equipment, training, club teams, etc. It’s also important to discuss what types of colleges or universities he may be able to afford without incurring massive loan debt. These constraints will be helpful in coming up with a realistic plan that fits your budget. Many recruits make the mistake of seeking out exposure or contacting coaches before they are ready. As a parent, it’s helpful if you understand that. Read these articles on when and how your son should contact college coaches. Encourage patience. Being honest about your son’s playing abilities is one of the most difficult, yet most important things you and he can do to ensure a successful recruiting process. Most kids who end up with nowhere to play in college do so because they are looking in the wrong places. 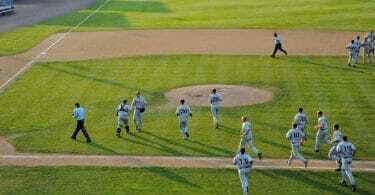 There is good baseball at all NCAA levels. Make sure you and your son take a realistic and honest view of which levels he could play and how that view fits with what he wants in a college experience. Objective feedback from a coach, scout, or people who are familiar with the different NCAA levels can be very helpful in that regard. Honesty is a must. If your son really wants to play college baseball, he needs to target schools and programs that match his playing and academic abilities. When he does being to target schools, all the communication with coaches needs to be done by your son, but you can play an important role behind the scenes, reading over emails, sharing your thoughts and helping him prepare. Help you son get ready to contact coaches by having these things prepared. Even though it may be hard, your son has to be the lead voice and communicator with college coaches. It’s important you understand that seeking exposure and contacting coaches does not mean you have to spend a lot of money. Read our article for parents on balancing spending and exposure. Exposure and communication are important, but they must take place after your son has developed recruitable skillsets and they absolutely do not need to be expensive. Help your son understand the difference between necessary and luxury expenses during the recruiting process and be the voice of reason and rationality. Helping your son put together a realistic budget and figure out where to spend available resources is an important job while he seeks to be evaluated by college coaches. This echoes the sentiment of the previous two steps. All communication should be flowing through your son, even if you have a big influence on what he says and does. There are a number of reasons why it is important for you to let your son take the lead in interactions with college coaches and recruiters. For starters, college coaches put a lot of value in players who take ownership over their recruiting process and can clearly articulate what they want in a college experience. In college, you will not be there to communicate on your son’s behalf, and coaches want to see if recruits can communicate effectively on their own. 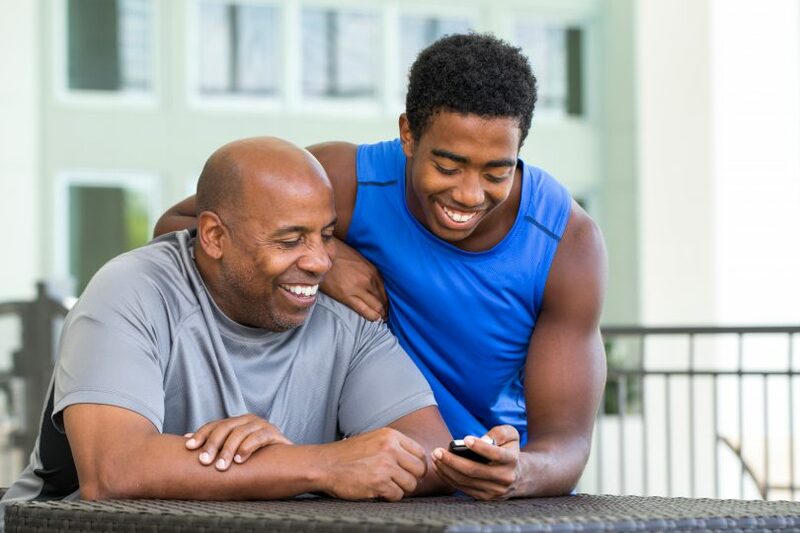 Your son should be the main person communicating with coaches on the phone, email, and in person. If your son is leading the conversation, it will give college coaches a better chance to get to know him and figure out if his personality is a good fit for their program. It will also allow your son to get a better feel for the coaching staff, and evaluate if they fit what he is looking for in college coaches. Of course, any college coach worth their salt is going to keep the parent involved in conversation, but we can’t stress enough how important it is to let your son take the lead. When you are involved in conversations with coaches, just remember to inform rather than embellish or brag about your son. It’s also incredibly important that you and your son are on the same page in terms of what he is looking for and what he expects at this stage of the recruiting process. Even though you are taking a backseat role in the recruiting process, you should be a unified team working for the same goals with the same expectations. If your son has been communicating with schools of interest, the next logical step is a campus visit to get more information and see if the school and program fit what your son is looking for. If you know that you will be visiting a college program, you will want to put together a thorough scouting report beforehand. Help your son prepare for the visit by finding out as much as he can about the school/baseball program. How big is the school? How much recent success has the baseball team had? How long have the coaches been with the program? Do some roster research. Who is returning at your son’s position and what class they are in? Does the school have your son’s intended major or area of study? Prepare a list of questions you have about that specific school and baseball program. Finally, work with your son to set up guidelines for visits. Things like, ‘we will talk about things at home before you decide to commit’ or ‘we will stay for the full visit, even if we do not like the way the visit is going’. It’s also important to talk about what the goal of the visit is. Do you want to leave with an offer? Will you ask about one if the visit is coming to a close and you haven’t received one? Have a plan and goals. This will make sure you stick with your shared game plan no matter how the visit goes and give you time to reflect and make a rational and informed decision. Once you have finished your ‘scouting report’ and set guidelines, you are ready to visit campus. Once on campus, again allow your son to take the lead, but feel free to be a part of the conversation when it seems right. You’ll want to have your own questions to ask on a campus visit and be sure to get all the information that you need to make an informed-decision. When it comes to finances, you can take the lead. Ask clarifying questions and give honest responses, but avoid making demands or requests for scholarship money. We’ll get into this more in Part 3, but one of your most important roles on campus visits is as a listener. How do the coaches try to convey their message? How do they respond to tough questions? Do you think they are being honest and forthcoming? You can pick up a lot beyond what they say by letting your son do the talking and listening intently. You can pick up on important things that your son may miss because of his excitement that you can discuss with him later. Parents often wonder how involved they should be in their son’s ultimate decision-making. College is a big decision and will impact your son for the rest of his life. There is no cookie-cutter way to go here, you will have to decide what level of involvement you have in where he goes and what is best for your family. Your perspective and experience matter. 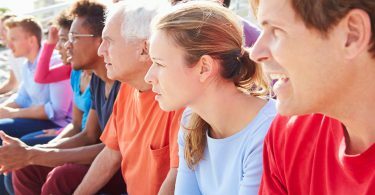 The cost of attendance, scholarship offers, academic reputation of the school, proximity to home, and other variables may cause you to be more or less involved in your son’s final decision. Ask yourself if your son is mature and informed enough to make a decision that will impact his life for decades on his own. Let that answer guide your influence. Your son should be the one calling coaches to let them know that he is committing. At this point, your job is to keep your son on track and communicate with coaches as they dictate. This is an underrated part of the recruiting process. Committing is the start of the journey, not the end. Help your son prepare for a highly competitive college baseball environment and get off to a good start by completing all his post-commitment responsibilities on time. There will be a lot for both of you to do in the admissions and post-acceptance period. You should pay close attention to deadlines like filing the fafsa, submitting immunization records, on-campus housing applications, finishing eligibility certification and much more. There is still plenty left for you and your son to do, and you will want to stay involved to make sure nothing slips between the cracks.